In fact, language is so hard wired in a new born baby that he can already recognize his mother’s voice from hearing it while in the womb. Babies are used to recognizing speech from before they were even born. Just like a baby animal in the wild is hard wired to get up and walk few minutes after birth, human babies are hard wired to speak from the moment they are born, even though it will take another 3 to 4 years before they can speak a language fluently. While there are many ways of communication, language is the most important form of communications in humans. Only humans have developed languages to express themselves and communicate with one another. We can say that language is what makes us humans. That’s why while a puppy or a kitten will never learn to speak no matter how much time they spend with a human, a baby, on the other hand, is already hard wired to understand language and facial expressions. Dr. Brenda Fitzgerald, an expert in child development, talked about the still face experiment during a public talk she gave in Atlanta, Georgia. The still face experiment involves a mother staring at her baby with a still face for about a minute or so, without doing or saying anything at all. How does the baby react to this type of treatment? The baby goes through three rapid phases. First phase, the baby tries to get his mother’s attention by smiling, making little cries, and even pointing. Second phase, the baby seems a little disconcerted and starts getting annoyed, even looking away from his mother’s face at times. Third phase, the baby starts crying as the frustration becomes too overwhelming. This type of experimentation shows that babies are hard wired for communication, otherwise known as language. When the mother talks and smiles to the baby, he responds with a behavior of contentment, and even joy. He enjoys the communication with his mother. But when she just stares at him without any type of communication, the baby becomes quickly frustrated and starts crying. Instead of being happy, the baby becomes unhappy, just because that part of communication called language is missing. In addition, It’s important to mention that even if the baby is deaf, it will have no effect on their reaction in this case. What contributes to the reaction of the baby is it’s own language and forms of communication. The same results were obtained with spoken and signed languages. Babies are hard wired to communicate and are asking for such communication. When we talk to our baby whether is with spoken words or sign language, we are contributing to the sharpness of their brain well into adulthood. The importance of talking to your baby is clear. Studies showed that individuals who became better speakers, better readers, better students, and eventually more successful in life were babies who heard the most words from the time they were born until about 3 and half years old. Those studies clearly showed that such success didn’t depend on race, gender, environment, or social class, but solely on parents’ interaction with their babies and toddlers. Every time the baby hears a word, a new neuron connection is made. If the baby never hears that word again that connection will eventually shrink and die, but if the baby hears that word again and again until he’s able to speak it that connection will not only stick but create new ones springing from it. The brain of a baby grows with words. It can rightly be said that words are food for the brain. The more words the baby hears, the sharper his brains becomes. But the most interesting result those studies showed is that if a child doesn’t read to level by the 3rd grade, they’re less likely to graduate from High School. Of course, this isn’t defining, but it goes to show the importance of early development. Staggering figures like this one could be greatly reduced if parents understood that all they need to do to improve this is by speaking to their babies more. How Can You Speak With Your Baby? Just like you feed your baby milk each day, remember to feed them words as well. You could comment on their feet as you wash them. You could talk about their eyes, nose, mouth, cheeks, ears and so forth as you point them. You could explain what you’re doing out loud as you give them their bath, mentioning each body part out loud. You could compliment them with positive superlative words, such as what a wonderful little girl you are! What a gorgeous little boy you are! There’s no limit to how much you can compliment your baby – even if they can’t understand exactly what you are saying, they will feel the emotion in your voice. You could tell them what their name is, and what their siblings’ names are if they have any. You could take their hands and put them on your face as you repeat the word mommy a few times. Dad could do the same as well. The ways you can speak words to your baby are endless. Use your imagination and you’ll find many more. What you say doesn’t matter nearly as much as the fact that you are simply saying it. Remember that those are not lost words that you may feel your baby can’t understand. These words are helping your child’s brain to develop better and faster, and will eventually help him or her create a better future for themselves. I knew that talking to your baby is very beneficial but I never realized how much until I read this. I think you did a good job of simplifying how words/language affect the babies development. When I was still pregnant with my first born I was reading one of the pregnancy books and it said that you should often talk to them even when they are still in your womb. The book also suggested playing music due to its positive stimulation or something. And I did just that. I constantly talked to my little baby bump. It felt silly at first but then it came very naturally. After my boy was born I just kept doing it more and more. I even made a conscious effort of trying to use different words (not always the same) then explaining it to him. My husband is an English teacher so he loves to have cute debates with our boy – even if he doesn’t understand him, he enjoys listening to his father’s voice. This also shows how important it is that baby is surrounded with people that will constantly interact with it. You are right, words are helping our child’s brain to develop better and faster, that is why we should talk all the time and explain all is around us, environment, things, nature, actions, and all the rest. I remember about my son, since we were 5 people in the house, each of us was talking to him about all or nothing, but someone was talking with him all the time, and his answer was to start talking at 9 months. He was not a genius but he knew a lot of words at the age of 1 year. So, yes I agree, talking to our child, is improving its ability to learn and speak! I think you did a great job putting this post together. Off course language is one very important factor that should be exercised at every given chance during a child’s nurturing. It doesn’t only develop the brain in terms learning, but also gives the child a sense of belonging amongst adults since they could communicate better via language. As humans, the need to communicate comes naturally like you pointed out. Majority of people when around babies unknowingly find themselves speaking to the little one who only stares back. The points on how you can speak to your baby are facts I completely agree with. It’s quite unfortunate that rural areas in the country where I come from don’t seem to agree with us. I can see kids at age 10 having no communication value. It hurts not being able to do anything about it. It is good that there are ways we can improve teaching our babies the way to speak. I am glad that my mom made it easier for me to start speaking at an early age by ensuring I pronounce some words and that is what I’m definitely going to pass to my kids as well. 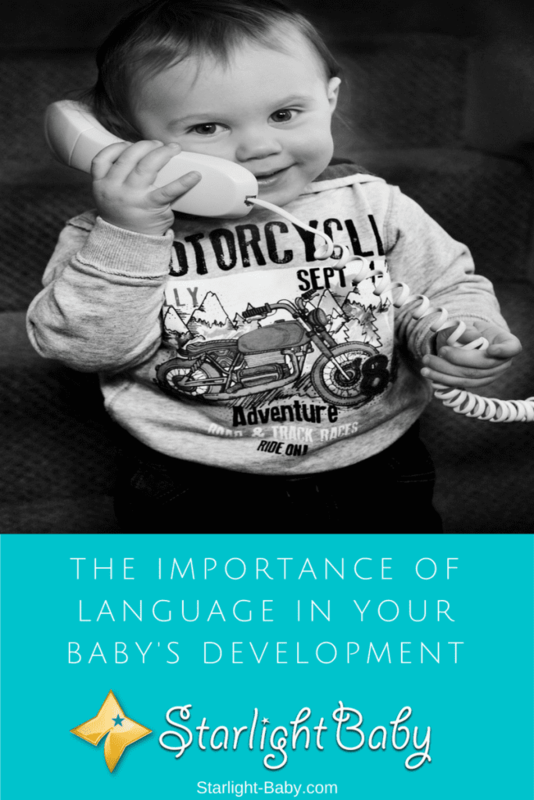 I enjoyed reading more from you on how we can develop the language skills of babies at that early stage. @Henrywrites I’m sure you could only remember your mother’s efforts in teaching you communication skills from say your kids say with the age range of 6-10 years because I strongly doubt if anyone can recall what happened in his baby and toddler stage. But in the end, any amount of knowledge matters to the child’s development. This is why you could observe some toddlers so young being able to differentiate between their mommy and daddy. Communication and language is everything when it comes to getting your little one to dot on the parents very easily. It’s even encouraged to start speaking to your baby even when they are still suckling because it’s going to help them master the voice of the mother and know when another person is carrying him or her. 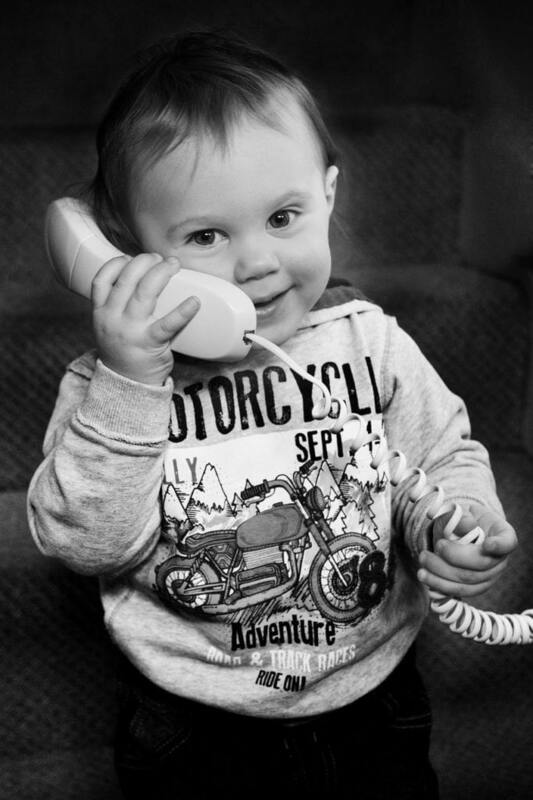 It’s known that child’s brain can accommodate and process any information that you feed it, so therefore any language you choose for your little one to converse with, as long you started speaking to the child with such language early enough, such language would be the first language the child makes use of. How a baby develops a verbal language is an interesting phenomenon. My 20 months niece understands simple communication such as come, go, sit, stand up, eat etc. however, she can utter only one word, mamma. My child is not even 10 months old, however, can utter over a dozen words. They say my niece’s parents did not speak properly until they were three months old. Is there a genetic connection on this?